in regular passenger service since preservation. Built in 1956 at Eastleigh this was one of the final EPB units, withdrawn in 1995. EPB stands for Electro-Pneumatic-Brake. Currently located at a private site in Greater London. 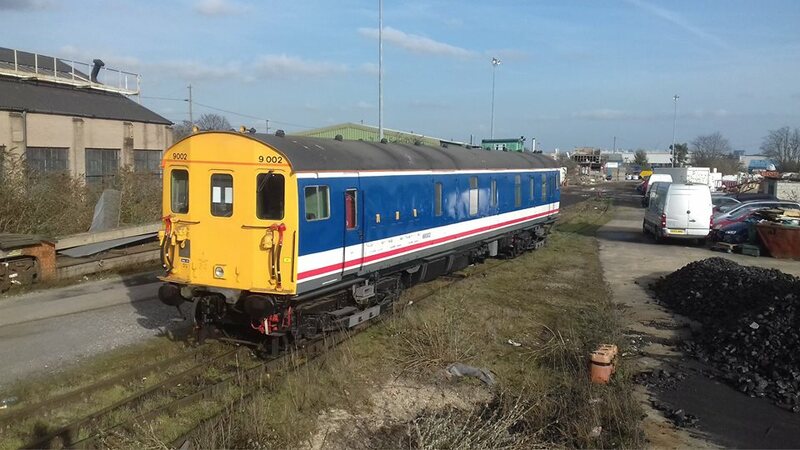 It appeared at the 2017 Slade Green depot open day and is available for other visits or filming. 4 Cep 7105. 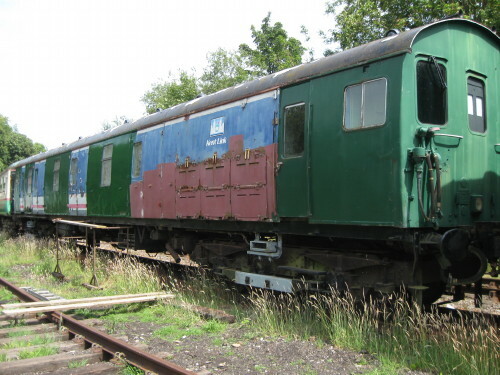 This unit contains the only surviving Bep buffet car The unit is running in the refurbished condition. The 2 motor coaches are currently at Eastleigh works for the rebuilding of the brake (guards) compartment in the original position. See www.cep7105.co.uk. 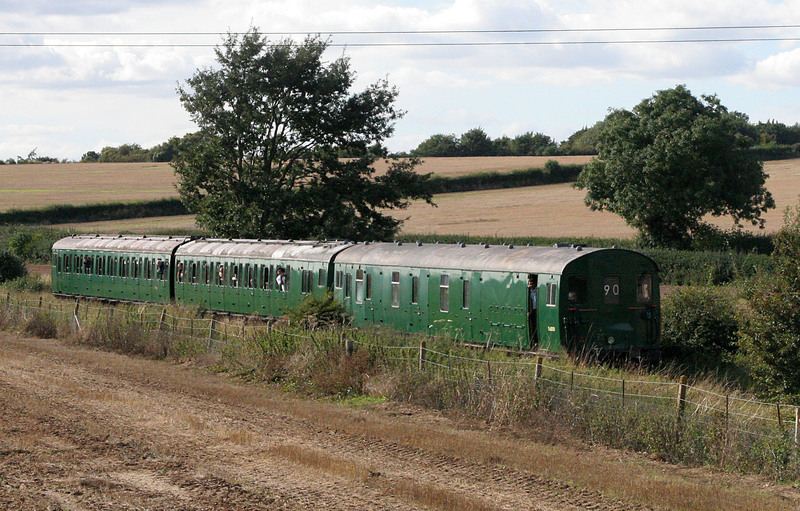 The trailer coaches are at the Epping Ongar Railway. Motor Luggage Van (MLV) 68001 at Emudays 2010, hauling 5759. This unit has batteries to allow it to operate away from the third rail, for conveying luggage and parcels on dockside lines. 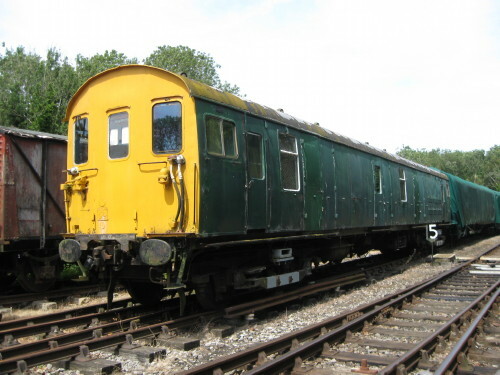 This is the unit that powered the genuine electric trains, as seen here. The current set of batteries were funded by the Heritage Lottery Fund. This MLV is now at Southall. MLV 68008(left) and 68009. (right) These are from the 1961 phase 2 batch. 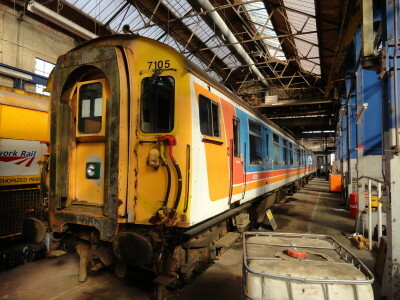 68008 is available for use and being repainted steadily into "multiple unit green". Both are now located at a site in the London area, where restoration is ongoing. MLV 68002-The other 1959 built motor luggage van is currently at Southall (West Coast Railways) shed fully restored externally in Network South East livery as 9002. 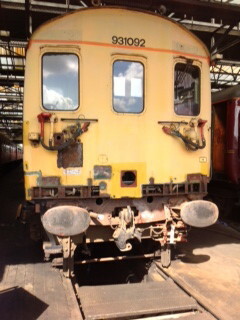 It appeared at depot open days at Ramsgate and Slade Green. 68002 and 5759 are the only privately preserved emus to do so since privatisation. It is in working order and we would be happy to consider invites to other events.